WP Ticket allows you to have unlimited support agents unlike most third-party customer support services. Create support agents with name, photo and contact info. 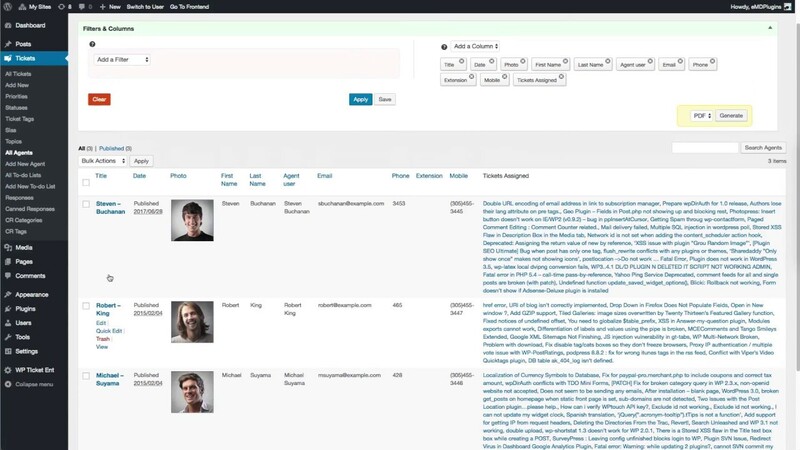 Every agent must be linked to a WordPress user with custom role of agent or manager. Add custom fields to showcase your support agents unique information and interests. Edit and update details of support agents. Assign support tickets to any agent.